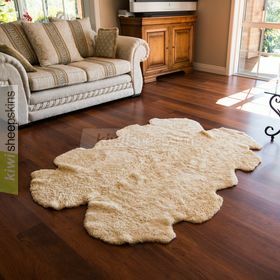 Only carefully selected premium sheep skins are used to make this large multiple. Six separate matching pelts are sewn to produce this large floor rug that can also be used as a bedspread/bed cover. 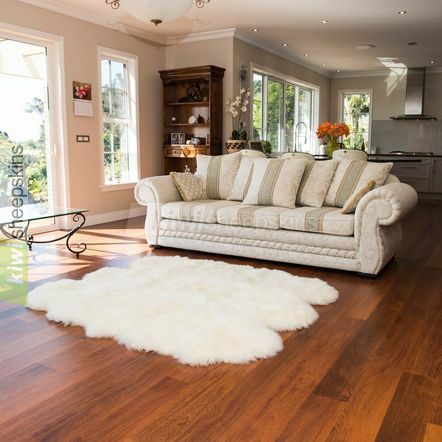 These superior quality sheepskin rugs are the ultimate in comfort and style. Six separate premium-grade sheepskin pelts are sewn together to create a stunning floor rug or bed cover. Customer reviews of our 6-pelt sheepskin rugs. Received my Sexto sheepskin rug today. Absolutely love it, incredibly soft. Way better then I had hoped for. VERY FAST delivery from New Zealand to Canada. By far one of the best websites on the net. Thank you so much for your AWESOME service. 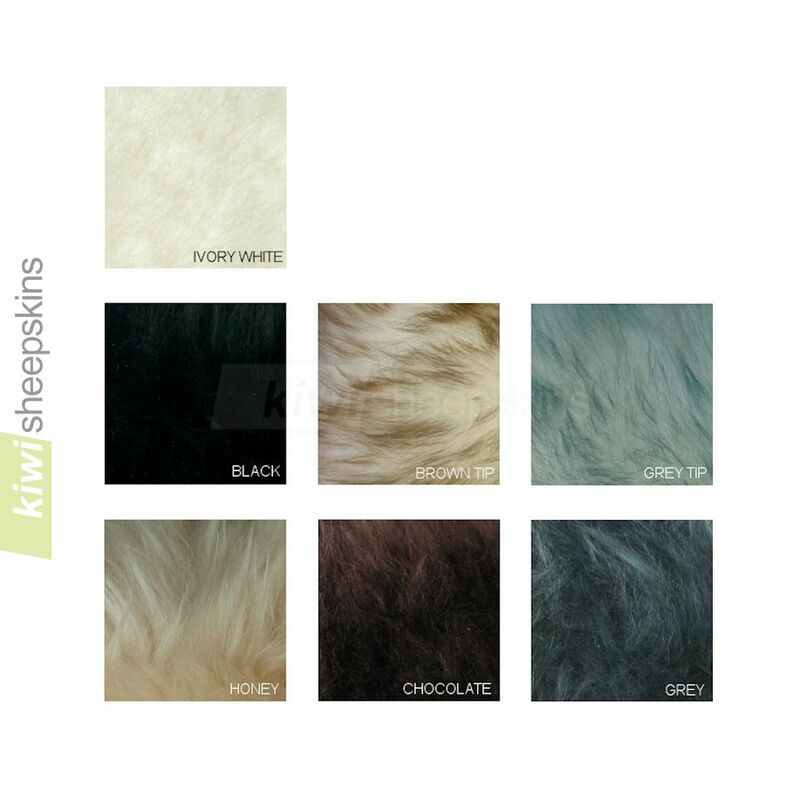 Recently, my boss asked me to do some internet research to find sheepskin blankets or rugs. I found, and referred him to your products. The next day he bought a sexto rug. He, I and his wife whom he bought if for were very pleased. 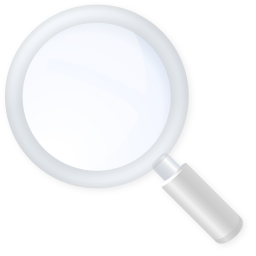 The product was fantastic - just as advertised if not better and the promptness of the shipment was impressive. So, thank you for all of your company's and product's greatness. The sheepskin sexto rug arrived earlier this week, it is exactly the size I hoped for and the quality is fantastic. Thanks to your company for an excellent service and product which far surpasses the quality and value for money available in the UK. Your company comes highly recommended and justly so! I received my order yesterday, one week since you sent it airmail. Wanted to let you know that my husband and I are JUST TOTALLY THRILLED with the sheepskin rugs. I lived in England for 13 years, and I had them there, and then moved to the States, and bought a couple here. They were NOTHING AT ALL like yours. Yours are gorgeous in every way, we are so thrilled beyond belief. And all this at such a very reasonable price. Sheepskin rug arrived 2 days ago. Very pleased with the rug and with the fast delivery and service. It's a beautiful rug and a lot cheaper than I could have purchased from anywhere in UK. Will certainly recommend to others. Thank you. My order came via air mail while I was away so I picked it up at my local post office yesterday afternoon. It was exactly as described and photographed in your web advertisement. I am very pleased with it and have already shown it to a friend. I will tell all my friends about the superior quality of your sheepskins and your efficient and super quick response. Thank you for a beautiful rug and a very prompt service myself and my wife are delighted.